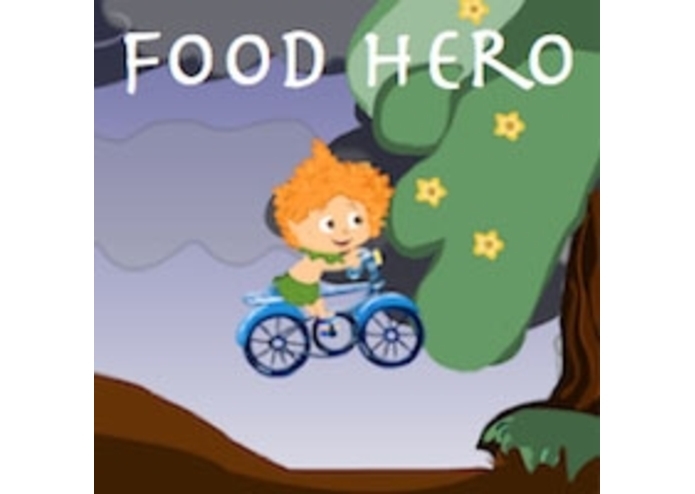 Food Hero is an engaging and exciting game that encourages kids to make more nutritious food choices and become more physically active. The goal of the game is to become a Food Hero by eating right and completing a set of running, biking and swimming challenges. Eating healthy balanced meals every day helps you build strength. By eating right, you also earn gold which you can use to buy cool props that help you complete the challenges. If you eat too much, you become sluggish and the sports challenges become harder to complete. If you don't eat enough, you become too weak to compete. If you don't eat a balanced diet, you also lose points. HealthySocial is a non-profit project based at Children's Hospital Boston focused on developing innovative ways for using social networks to promote positive health behaviors and attitudes. We are currently developing social capabilities around the Food Heros application.